1. Ad valorem tax – what a stinky way to spend money on your birthday! 2. Cold medicine – it means someone’s sick. 3. HOA fees – rarely does your money go to anything good. 4. Socks – how boring. 5. Diapers – gosh they go quickly but there’s no way I’d rather complain about that then go cloth! 6. Late Fees – oh I hate it when I find a bill underneath a mess of papers & realized I never paid it! 7. Life Insurance – I get it, but still no fun. 8. Emissions Testing – I don’t think it really accomplishes what it’s supposed to – just another way to get our money! 9. Birthday Cards – To me they’re over-rated … and over priced! 10. Anything that I later realize I had a coupon for!!! And to top it off, all TEN of those have gotten me this week alone!!! 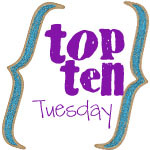 For more Top Ten Tuesday Lists or to link to one of your own, go HERE. So I don’t get that into the Oscars. It’s usually a bunch of movies that I didn’t see & likely don’t have any plans of seeing, but of course I still watch. Some live, but the majority via DVR. I just want to be able to fast forward to the winners, watch the good acceptance speeches, fast forward through the bad ones. You know the drill. I wonder if anyone actually watches all 5 hours of the thing anymore anyways?! So some of my favorite moments – the whole Jen, Brad, Angie thing. Camera men & producers sure were working those angles – weren’t they? I would put money that Jen gave Brad the wink/smile thing as she was standing there at one point. What do you think? Angie of course was working the fake smile, oh Jack Black’s funny & I know the camera’s on me kind of thing. And of course watching Heath Ledger’s family accept his award was very sweet. I think they did a nice job for him. So that’s about all the good – hmmm … 4 hours for those 5 minutes. I’m glad I hit the record button!! Plenty of bad though – umm, not sure about the whole Beyonce song & dance number. The presentation of all the supporting/lead actor awards was a little morbid for me – that’s probably a tad strong. What about you – am I missing anything? Then of course there’s always the dresses. I like to see what the “fashion world” have to say the next day. Sometimes I agree, sometimes I don’t. For instance – Angeline Jolie – they (whoever they are) gave her an A+. I’d have gone with a C. Just average to me. It’s just a black strapless dress that she could have worn to anything. It’s the Oscars for cryin out loud & she’s a nominee. Can’t you think outside of the little black dress. And then there’s this little number. I don’t even know who she is, but they gave her a B+. An F would be more like it. It looks like an experiment gone bad. And are those cowboy boots she’s wearing with it?!? But I think this one was my favorite. I would have re-worked the bottom. Not sure about that very last bit of white fabric popping out but overall, I think this is beautiful & looks so pretty on her. Of course all of this is coming from a girl that buys most of her clothes from the same place she buys her milk & eggs, so maybe “they” do know a little more than I!!! But, what were some of your fashion favorites? Can I just be honest & say that right now, this very moment I am completly wiped out. Spent. Toast! We’re on our 12th day of a never-ending ear infection with Megan. That doesn’t include the fussiness before actually leading up to the dreaded words … “ear. infection.”. Evan didn’t go to the doctor for a sick visit until he was 2 years old. Megan went for her first at six weeks and I swear some days I feel like I just need to make her a revolving appointment! I love beautiful weather in February, but I’d rather not have it if it’s going to be 75 one day at 35 the next!! We’ll never get over anything if we’re on that rollercoaster. And I close by saying, I know the above statements sound incredibly selfish! I have read way too many blogs recently of truly sick children that just break my heart. But I’m just a girl with the mothering instincts of a cactus just being honest … at this very moment anyways! I now have three posts about Valentine’s Day – I don’t think I ever got one up about Christmas this past year, but THREE for Valentine’s … not sure what’s up with that, but here goes!! 1. The Valentine Pouch – The night before she decorated the kitchen table & hung the cutest little bag off of each child’s chair. She called them their “Valentine Pouchbags” (I think). It looked like she used them each year. She filled them with just fun little things – stickers, paper, maybe one small toy, nothing big or expensive … just fun! 2. Every meal was about hearts – heart shaped pancakes, heart shaped grilled cheese sandwiches, heart shaped cucumber bits. She made the little ones count how many hearts they could find on their plate. 3. The Scavenger Hunt – Later in the day she took the kids on a scavenger hunt. She gave them the first clue (on a heart of course) and then sent them to eight different locations. Eveything was inside the house but she put one clue at one end & the next at the very opposite end of the house, so they were running everywhere – what kid doesn’t like to run around in the house, especially if they won’t get in trouble for it!! The final clue left them to a big “Tub of Love” as she called it. It was one giant box with smaller presents inside for each. Again, she said it wasn’t anything expensive just little things that they would need or use – it was more about the fun in getting to it. Thanks Kate for the ideas! Like most preschool & elementary classes, Evan’s class had a Valentine’s party this week. We of course had dinosaur valentine’s to exchange. Do they make anything else for boys his age besides dinosaurs?! I wouldn’t know these days!! He came home with a heart bucket full of cards & candy. The teacher sent home a really cute idea for opening all the cards. It’s a Valentine booklet. As you open one, you find the name of the person that gave it to you in the booklet & then you put a picture of the classmate that gave it along with their Valentine card on their page. She sent all the supplies (now that’s a good teacher) … a pre-made booklet ready for assembling!! It will just be a fun little Valentine craft to finish at home. And I’m also thinking it could be a good way to spread the love candy out! Oh & this one wins for the Mom that spent the most time on the Valentine’s (note – I definitely did NOT win that award this year). I just realized this title may sound like my “valentine” was frugal with me. And hopefully he actually will be for this Hallmark holiday this year, but the post is actually about ME be frugal this year. There’s a couple things I remember about past Valentine Day’s when I was a kid. 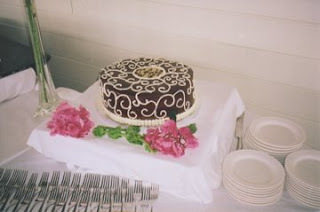 We never blew it up crazy or anything like that, but it was always sweet & perfect!! The first memory is that EVERY single year our Dad would leave each of us something on our kitchen counter. Each of us kids would get a small heart of chocolates. Staci & I would also get a single rose with ours. And my Mom would always get a big heart of chocolates along with more flowers. Mom’s are “supposed” to take care of everything & get all the holidays ready, so it was just always cute & sweet to think of my Dad doing the shopping:). The second memory I have is of one particular year that we came home from school to the dinner table being decorated to a “t” with pink & red. 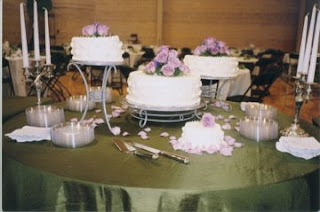 There were balloons, confetti, and even a tablecloth – which with 4 kids we rarely, if ever, ate off of tablecloths!!! I remember that year being a fun, different surprise. I have a few other Valentine memories like the silly Cupid things you did in Middle School – why did the school host a “Secret Cupid” let me send someone I like a red carnation something or another?!?! That always seemed so strange! Anyways, Valetine’s is one of those “holidays” that it’s fun to do a little something for – even if it’s just wearing a red t-shirt, but I don’t want to go overboard by any means. But as M & E grow, I just want the day to be a little something extra, a little something more special. But this year I went frugal all the way baby!! So, frugality 101 – use leftover Christmas stuff … it’s red, so it’s perfect!! Left-over solid red napkins will be on the table & I bought some solid red plates after Christmas so they’ll be on the table as well. It’s amazing how much “Christmas” stuff you can get that’s not even “Christmas-y” during the After-Christmas-Sales. I got some fancy rolls of wrapping paper for 42 cents from Target … they look nothing like Christmas – they’ll be perfect for wedding presents this year! I found an unopened bag of Christmas M&M’s last week (obviously that was a mistake, otherwise they’d have already been eaten). I split the red & green – and just like that … I get Valentine’s & St. Patty’s Day all out of Christmas!! Or to be really frugal & done with all of it … I might just email this with a Happy Valentine’s note (if only I could have gotten it in focus!!). So were you frugal or did you go all out? I took the little ones down to the neighborhood playground yesterday. The weather has been gorgeous. It’s definitely giving me Spring FEVER! While Evan played I was chit-chatting with a Dad that was there with his son. I must admit at first I was a little cautious of him. He was a little older and his son (or at least that’s what he called him) just didn’t look like his son – in looks, personally or any of it. Pre-judgement I KNOW, but you have to be careful these days!!! He was a super nice guy & his son was adorable & VERY well mannered, but still … just because they’re at your neighborhood playground doesn’t mean they live in the neighborhood, if you know what I mean. And even if they do there – it really doesn’t matter!! Anyhow, as we talk he starts talking about his older son (15 years, making the age difference in him & his 5-year old son a little more sense) doing promotional work for a new TV show he’s on. I politely played along to see where this was going. But then I quickly got interested & maybe a little more cautious too. But apparently one of my neighbors is staring in a new Disney Show – “Aaron Stone”. I of course googled it as soon as Megan went down for her nap. All the names were in check, so either someone did their homework … OR I could be living right down the street from the next Hannah Montana!! So everything – absolutely everything – my sister does turns out cute. 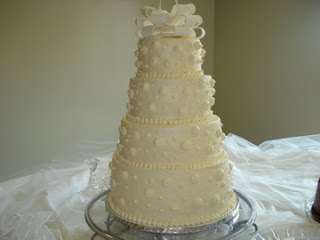 But in our little world one thing she’s become rather “famous” for his her cakes & cupcakes. She’ll tell you she’s not a baker (she just uses box mixes, but for some reason they always still turn out better than my box mixes). And she’ll try to tell you she’s not even that good at decorating them. But I disagree! For absoltuely no training, she’s good!!! And those are just a couple!! 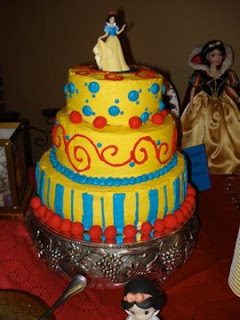 Check out Sweets for more yummy treats! So enough about her, back to me. I’m definitely NOT my sister in this department. 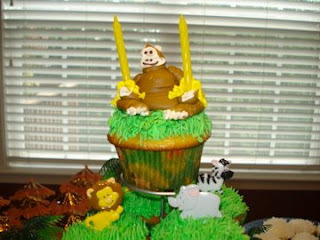 I did however, attempt to make some Steeler cupcakes to enjoy at a Superbowl Party hosted by our friends the Klehms. However they turned out more like a blob of yellow on some chocolate icing. At least I know who to call when they actually need to look good!